Say goodbye to SeaWorld's killer whale show. Goodbye. 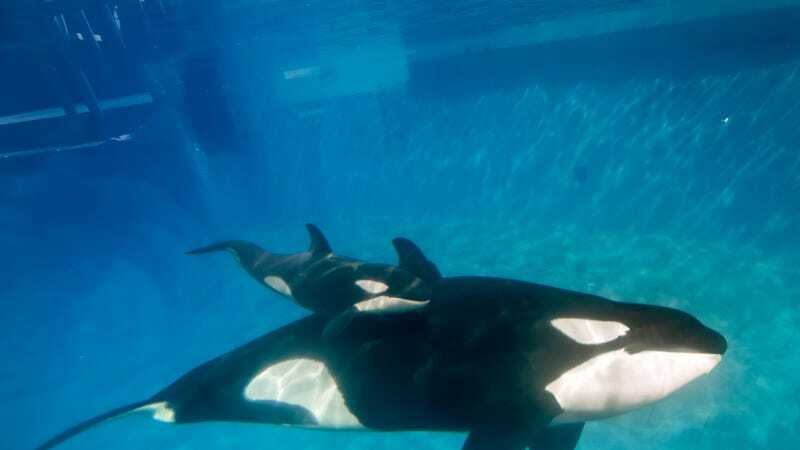 On Monday, SeaWorld announced it would be replacing its highly controversial killer whale show with "a new orca experience" that will be take place in a more natural setting and carry a "conservation message inspiring people to act," according to the San Diego Union-Tribune. SeaWorld intends to phase out its longstanding killer whale show at its San Diego park next year as part of a comprehensive strategy unveiled Monday to re-position the embattled company amid persistent criticisms of how it treats its orcas. The cause of this dramatic change to what was once a major showbiz success can be summed up in one word: Blackfish. This 2013 American documentary exposed the public to the often painful and sad life of being an orca trapped in SeaWorld, not to mention the danger they pose to the trainers. Saying the film led to an outpouring of negative publicity would be a serious understatement, and the reverberations continue to ripple. Just last Friday, U.S. Rep. Adam Schiff (D-CA) announced the Orca Responsibility and Care Advancement (ORCA) Act, a new bill intended to phase out orca captivity. The legislation would ban breeding, wild capture, and import or export of orcas for the purpose of public exhibition. So by SeaWorld's hand or not, the famous "Shamu Show" appears to be coming to an end. SeaWorld has already addressed public dissatisfaction by removing trainers from the water and announcing more orca-friendly tanks. But with attendance and revenue still in the tank, Monday's announcement ushers in a much bigger change. A quick glance through the comments on YouTube videos of the Shamu Show foreshadow its demise. The overall sentiment can be summed up as outrageously angry and sad for the terribleness of what's happening—although there are some people who just love to see killer whales do tricks regardless of the circumstances that led to those tricks. These whales are stunning creatures, capable of high intelligence and amazing grace, and the SeaWorld shows do a good job of presenting these feats in an entertaining fashion. They can just be a little hard to watch, but judge for yourself.